St. Patrick’s Day is celebrated on March 17th, the saint’s religious feast day and the anniversary of his death in the fifth century. 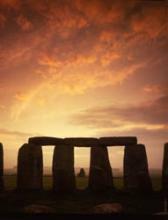 The Irish have observed this day as a religious holiday for over 1,000 years. On St. Patrick’s Day, which falls during the Christian season of Lent, Irish families would traditionally attend church in the morning and celebrate in the afternoon. Lenten prohibitions against the consumption of meat were waived and people would dance, drink and feast–on the traditional meal of Irish bacon and cabbage. 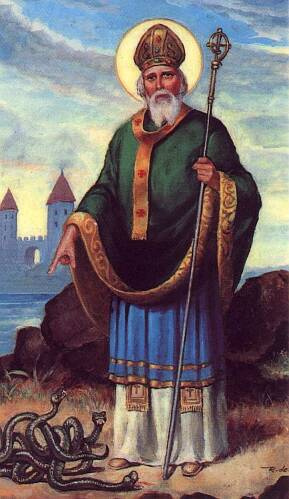 Saint Patrick, who lived during the fifth century, is the patron saint and national apostle of Ireland. Born in Roman Britain, he was kidnapped and brought to Ireland as a slave at the age of 16. He later escaped, but returned to Ireland and was credited with bringing Christianity to its people. In the centuries following Patrick’s death (believed to have been on March 17, 461), the mythology surrounding his life became ever more ingrained in the Irish culture: Perhaps the most well known legend is that he explained the Holy Trinity (Father, Son and Holy Spirit) using the three leaves of a native Irish clover, the shamrock. Since around the ninth or 10th century, people in Ireland have been observing the Roman Catholic feast day of St. Patrick on March 17. Interestingly, however, the first parade held to honor St. Patrick’s Day took place not in Ireland but in the United States. On March 17, 1762, Irish soldiers serving in the English military marched throughNew York City. Along with their music, the parade helped the soldiers reconnect with their Irish roots, as well as with fellow Irishmen serving in the English army.